As artificial technology continues to lead us forward, we cannot but look around and ask: should we rejoice the newly-established order or fear its eventual ascendancy? We’ve left the Dark Ages far behind, but what for? Is Westworld the framework for the future? Since curiosity is innately human, these and similar questions will remain. By 2020, conversation agents will manage 85% of B2C relations. If their development continues at a similar pace, perhaps some of our questions will finally be answered. And, here’s a topical one: will chatbots be the ones to reply, or are they already doomed to fail? Though chatbots are fairly new, the principle they work on dates back to the 1970s and 1980s. In a way, conversational interfaces of early adventure games were the foundation for today’s social-technological interactions. Conversational agents or chatbots use this repeating pattern of reply/response in order to talk back to humans, answer their questions, and solve their problems. If this sounds futuristic, remember Siri and Cortana. 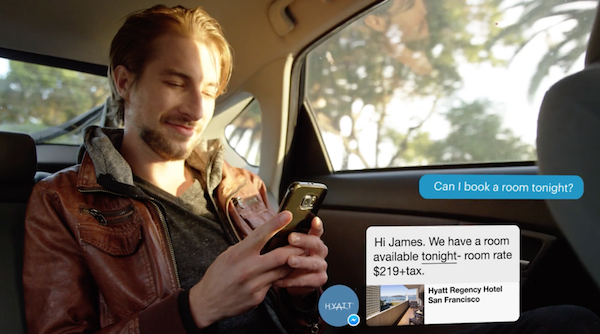 They are both chatbots, and you’re probably using them as we speak. While Siri’s and Cortana’s responses are vocal and textual alike, other chatbots reply either solely with voice (like the Amazon Alexa service) or with text messages (SMS or Facebook Messenger). And, they are not alone. With around 258,000 chatbot units around the globe, it appears that the AI race is multiplying at a whooping speed. In the UK alone, over 10,000 companies are currently developing chatbots with the aim to make them part of their customer support system. So far, chatbots’ biggest contribution is in customer service. By automating responses, conversational agents help organizations optimize their helpdesk channels, thus improving the speed, efficiency and convenience of B2C interactions in the online world. That way, the customer journey is simplified and smoothened. Instead of engaging in multiple interactions, tech-savvy users can now find solutions with a single voice command. Benefits are great for organizations, too. Though they might be costlier than human labour, chatbots are also trendier. The shift from traditional to visionary customer support successfully targets digital natives and discovers a steady customer base in both Millennials and Gen Zers. Modern customer behaviour will hardly become less demanding, but cutting-edge AI solutions might hold the key to a new age of customer experience. If chatbots are so beneficial to both businesses and customers, then what seems to be the problem? The first and most obvious problem is the dialogue. Chatbots are still algorithm-based and restricted to the logic of the code they were programmed with. Their capabilities might be sufficient when simplistic inquiries are in case, but the language barrier remains more or less the same. In order to become what AI enthusiasts want them to be, conversational interfaces would need to respond in a more natural way. Human language is much more than a system of codes, and linguistic subtleties like context or irony are way out of the chatbots’ reach. It’s true that advanced versions are able to maintain a conversation by building sentences around information they are provided with, but that still doesn’t mean that they can derive anything more complex than a previously coded instruction. If to that we add frequent programming issues that result in poor integrations, mismatched chatbot personalities (yes, that’s a thing), response iterations, and limited vocabulary, then the future of conversational agents currently doesn’t look so bright. But, there’s another problem. Just like human beings, chatbots need to learn in order to become smarter and more intuitive. Machine learning relies on the so-called deep-learning algorithm that feeds on the existing information, which inevitably raises the question of data privacy in the digital age. Take the Facebook Feed, for example. The method is the same as with conversational interfaces, although there’s nobody (or nothing) to actually converse with. Facebook’s algorithm might be silent, but it still uses our online information to filter content and provide a more pleasurable experience. Does this mean that efficiency and convenience provided by chatbots and similar AI solutions cannot be separated from covert data breaches? If we expect conversational agents to understand linguistic context, then we cannot expect them to do so with only a handful of information. Humanity will have to sacrifice its data privacy; will it be for good or harm is yet to be seen. Until comprehensive machine learning is made possible, chatbots will remain confined to their pre-programmed data bases. From the human vs. machine viewpoint, this is good news. Surely, this means that AI will stay just as it is, without any possibility for further advancement. But, hunger for advancement is another thing that’s innately human. We are curious to see how far bot technology can go, even at the cost of compromising our data privacy. However scary, the future is exciting too – conversational interfaces aren’t universally beneficial at this point, but they can become equipped for catering to holistic experiences instead of staying restricted to isolated niche-related inquires. A smart bot developed by Uber is already a part of Google Maps. Soon enough, it may replace the entire search engine as a single, centralized, yet highly personalized virtual assistant capable of answering all of our requests. You’ve guessed it right – the bot technology is clever enough to cover all of these demands. 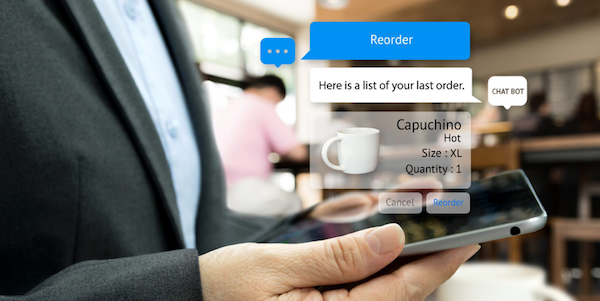 For the time being, chatbots will remain a vital part of modern-day customer experiences. Instantaneity and availability play a crucial role in today’s B2C interactions, and conversational agents provide both. Learn how the CRM in Bitrix24 provides a platform to organize and track interaction with potential or existing clients here. Use promo code TIP10 when registering your free Bitrix24 account to get extra 10GB.